This 60-litre capacity ultra slim kitchen bin is the perfect addition to any home, workplace or professional setting where hygiene is valued and aesthetics are important. 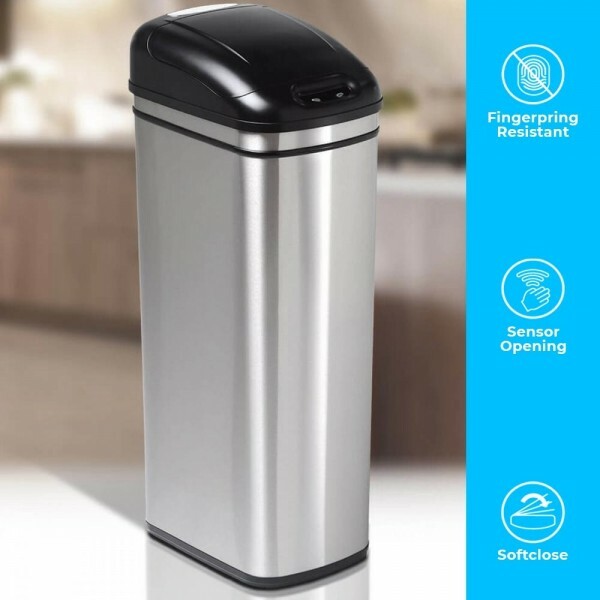 If you are sick of dirty swing bins, cheap plastic bins that don’t last or pedal bins that quickly lose their shine as their mechanism fails, then embrace the future of waste management and disposal by opting for a smart bin that has been designed with cleanliness and ease of use in mind. 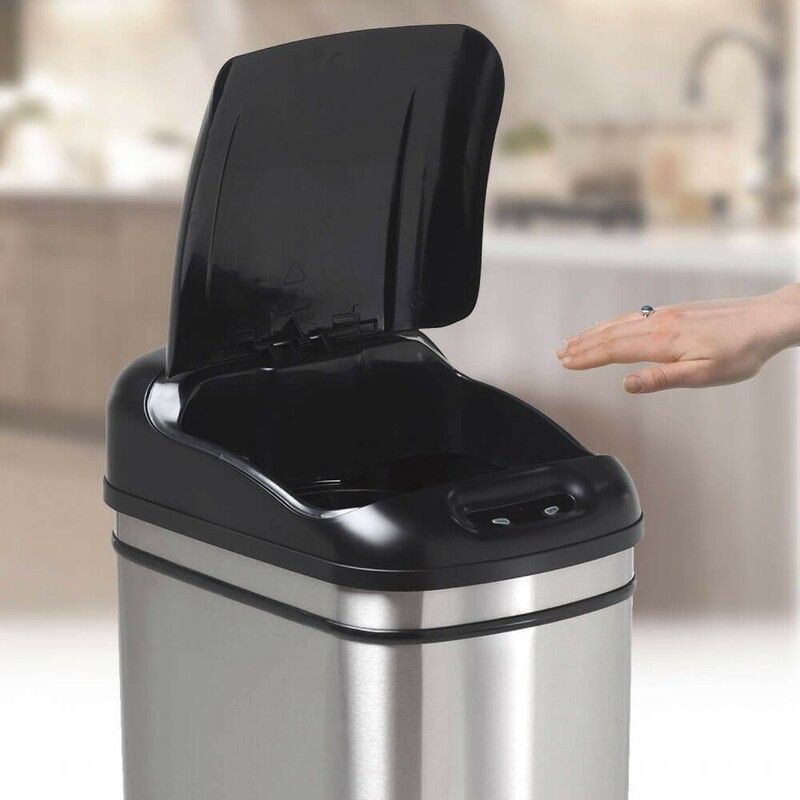 The sensor which is placed at the front of the bin detects movement via infra-red technology and quickly opens the lid of the bin when your hand moves in front of it. The lid opens without the need to touch it, and then closes automatically. You can, however, override this automatic closing if you want the bin to stay open for longer, by using the open/close button. The lid is tight fitting to prevent spills and keep odours at bay. 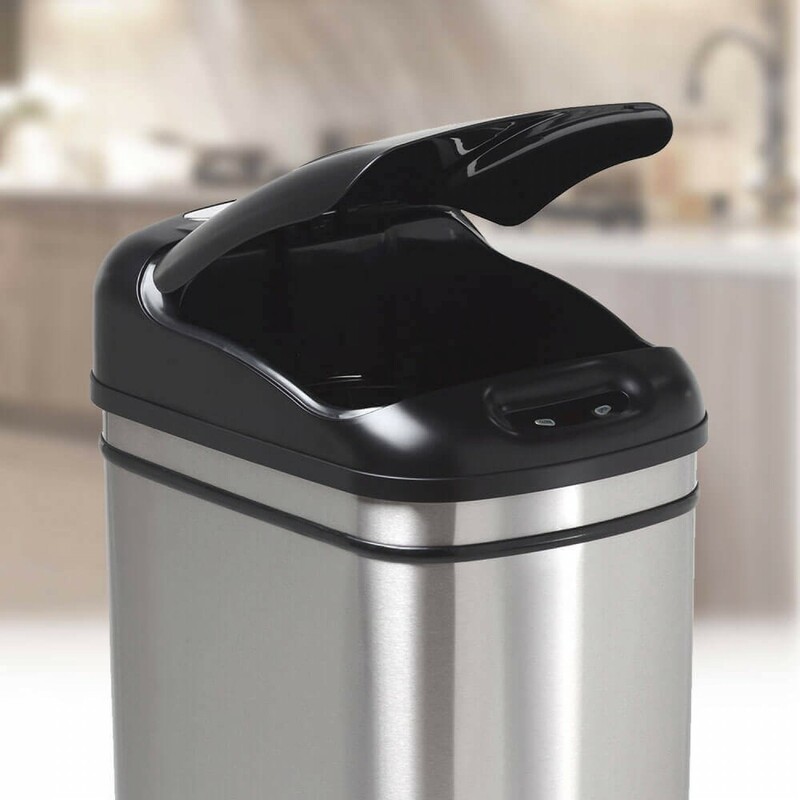 As well as the sensor which allows touch-less operation, the bag retaining ring used inside the 60 litre bin makes it even easier to use and keep clean. This ring has been designed to keep the bin liner inside the bin secure and to stop any slips where the bag falls into the bottom of the bin, resulting in spills that create mess inside the bin. Cleaning up after a slipped bin liner is a chore we could all do without! 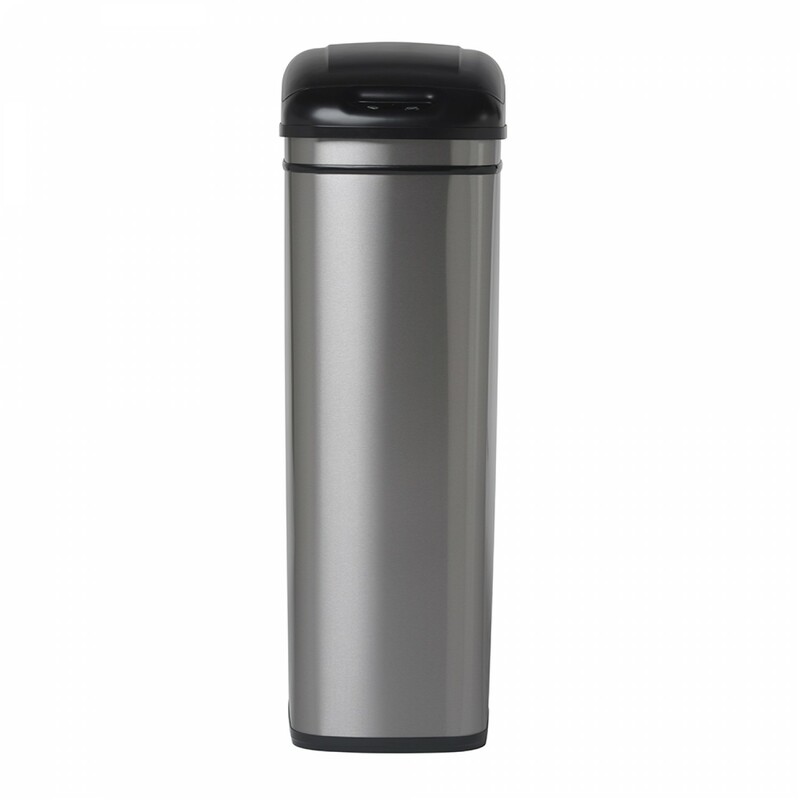 The 60 Litre ultra slim kitchen bin is one of the largest in the range, only smaller than the 80litre. Other, smaller options are also available – check out the 50litre, 32 litre, 24 litre and 8 litre range, as well as the countertop ladybird which is the smallest in the range. 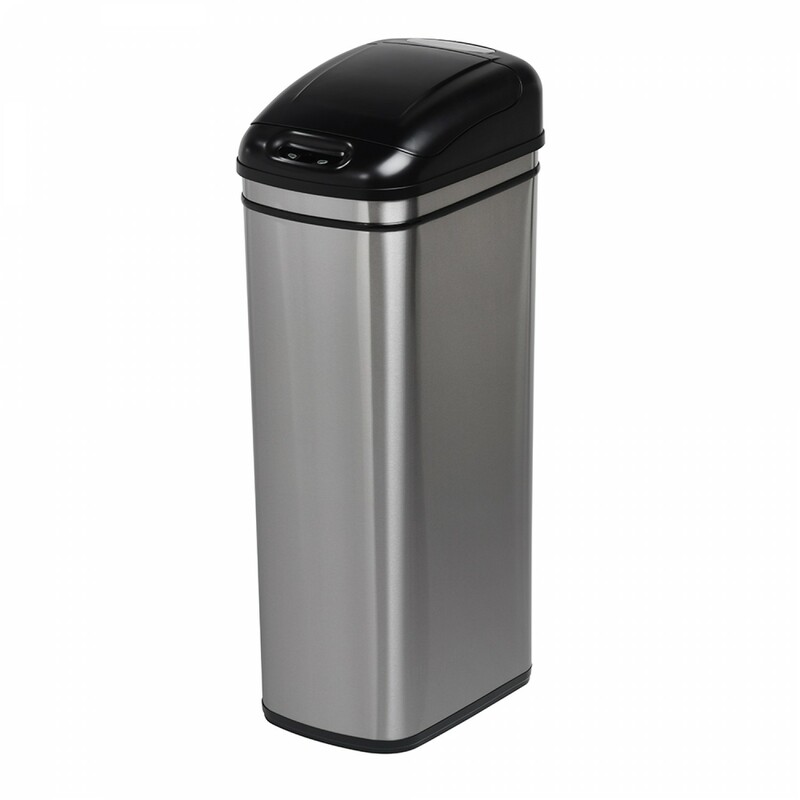 With a large capacity, typical settings where the 60 litre bin has been used include the catering trade such as restaurant kitchens, medical contexts such as doctor’s surgeries and other hygiene-focused settings such as schools and nurseries, residential homes and workplaces. Of course, the sensor bin is designed with a range of users in mind so it fits right into the modern home as well.